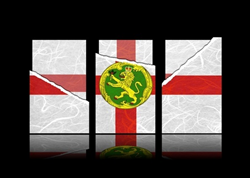 Back in 2001, the Isle of Man passed a number of laws that were especially designed to help protect the online gambling industry in the area. This has led to this particular location being a hot spot for online gambling businesses because they are able to offer their own laws that offer a number of special advantages that aren’t often seen in larger areas that offer licensing. In fact, the Isle of Man licensing process is extremely important to the overall economy of the area to the point that they have zero taxes for a number of businesses that operate there. Generally speaking, there are a few key points that make a license from the Isle of Man such a big deal. First off, the way that companies are required to handle player funds is extremely secure. All players are given segregated accounts for their funds. This means that when you place a deposit, it’s not just thrown in with all of the other money used for operating the casino, poker room, bingo room or whatever else. This is a feature that protects players from scenarios where the online establishment has cash flow problems and tries to use player funds for those purposes. The Isle of Man does not allow this because those funds are not the property of the online venue. Second, they are extremely strict to the point of perhaps being too strict with some of their regulatory policies. Because so much of the Isle of Man’s economy is based on Internet gaming companies, they only offer licenses to businesses that are able to illustrate extremely good business practices and a solid reputation for work that they have done in the past. To this end, if you see that an operator or software company is licensed with the Isle of Man, you can be sure that they are the real deal. Also known as the GSC, the Gambling Supervision Commission for the Isle of Man has been around since the 1960s. In today’s world, they also player protection and the licensing controls for both live and Internet-based establishments. Two features set the GSC apart from their counterparts in other jurisdictions. First off, they never offer legal advice to businesses. This helps to avoid any conflict of interest. Second, they have decades of experience in the live arena that has helped them to navigate the online industry better than most. 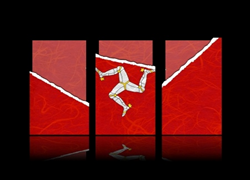 The Gambling Supervision Commission’s biggest contribution to the licensing process for the Isle of Man probably came from their 2001 Online Gambling Regulation Act, known as the OGRA for short. This act covers the requirements for operators and software down to extremely precise details like the nature of the randomness in the game, how bets have to be handled, how the telecommunications must be held from a technology standpoint and more. Overall, they pretty much have a chokehold on the licensing process and don’t let any shady companies operate there with any capacity.